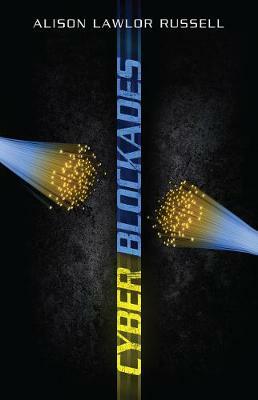 Cyber Blockades is the first book to examine the phenomena of blockade operations in cyberspace, large-scale attacks on infrastructure or systems that aim to prevent an entire state from sending or receiving electronic data. Cyber blockades can take place through digital, physical, and/or electromagnetic means. Blockade operations have historically been considered acts of war, thus their emergence in cyberspace has significant implications for international law and for our understanding of cyber warfare. The author defines and explains the emerging concept of "cyber blockades" and presents a unique comparison of blockade operations in five different domains-on land, at sea, in the air, in space, and in cyberspace-identifying common elements as well as important distinctions. Alison Lawlor Russell's framework for defining cyber blockades, understanding how they occur, and considering the motivations of actors who employ them is applied with in-depth analysis of the cyber attacks on Estonia in 2007 and on Georgia during the 2008 Georgia-Russia War. Blockade operations have occurred in cyberspace and will doubtlessly be used again in the future, by both state and non-state actors alike, because of the unique advantages of this type of attack. This book offers recommendations for policymakers contemplating or confronted by such attacks. Cyber Blockades is also a must-read for scholars and students of security studies, terrorism, substate groups, and the future of warfare.